What other expenses you should anticipate throughout the year and factor into your budget, e.g. sports fees, field trips, school photos, fund raisers, etc. Schools often provide supply lists in June or post them on their websites. If you look at the information early enough, you’ll have more time to watch for sales rather than fight the crowds as you buy everything at the last minute. Sit down with your child and create a list of what school supplies and clothes are needed for the school year. This is your opportunity to help your child distinguish needs from wants. Take stock of what your child still has from last year. Reuse as much of last year’s school supplies and clothing as you can—especially those things that are still in good condition. You can save money on back to school by only buying the essential school supplies right away and then purchasing the remaining school supplies as your child uses up last year’s pencil crayons, glue, and other supplies. If you are able to put off these purchases for a little while, you may be able to pick up these items on sale once the back-to-school rush is over. Hold off for a bit on a new backpack, or clothes or electronic devices. Let your child see what’s trendy before you spend a lot of money on something they'll hide at the back of their closet. Watch for sales, which can be especially good before school starts. They are a good time to stock up, especially on supplies that you will need to buy again during the year, like pens and paper. September will also have clearance sales on school supplies, so if there's anything you missed or didn't think of, there will be time to get it later. If your kids want to buy expensive name brand shoes or clothes, offer to pay the first $20, $50, or whatever your budget will allow. Then let your child pay for the rest. Younger kids can use gift money towards their "wants" and older kids can use part-time earnings to top us what they'd prefer to buy. You don’t need to splurge on a new wardrobe for each of your kids in September. The weather will still be warm, so the kids can continue wearing their summer clothes. As the weather turns or your child’s growth spurt slows down a bit, then you can consider buying new jeans or other clothing items. You don’t have to buy only brand name clothing for your kids. Look at buying one or two name brand items that are really important to your child and then coordinate those name brand clothes or shoes with less expensive items. When clothes are coordinated well, most kids don’t think to look for brand names—and if they do, they only pay attention to a few key brand names. A few new accessories or clothing items may be all that’s necessary to accent last year’s wardrobe and make it look new for this year. 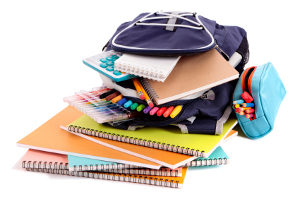 Before you hit the stores, make sure you make a list of all the back-to-school items you need. Studies show that people who shop without a list pay as much as 23% more than those who make a list. Agreeing on a list of items before you go shopping with your child should also make shopping much easier and less expensive. If your child knows you are only buying what’s on the list, they will be less likely to ask for everything they see, and if they do, it will be much easier to say no. Limit your spending by setting a specific dollar amount for your back-to-school budget, and then don’t spend any more than this. You don’t want to get carried away and go into debt over this. Use this back-to-school shopping experience as a way to teach your kids about money. Consider splitting your back-to-school budget among each of your kids and tell them that this is all the money you are going to spend on new clothes and school supplies. You’ll be surprised how quickly name brands can lose their appeal as your child carefully tries to make their budget stretch. Then again, if a name brand pair of shoes or jeans is incredibly important to your child, they may choose to make do with more of their old school supplies so that they can have enough money to afford the name brand shoes or jeans. If you know that your family’s back-to-school expenses will be around $300, then begin planning for next year right now. Open a separate savings account and ask your bank to transfer $6 a week into that account. Once next September rolls around, you’ll have the money you need ready to go. Another way of saving some money during the school year is sending a lunch with your child rather than giving them lunch money every day. If you only give your child lunch money once a week rather than every day, you can save more than $1,000 over the school year (assuming lunch costs $7). That’s enough to take your kid to Disneyland, pay for music lessons, join a sports team, or do any number of great activities. Be aware of long term commitments, like cell phone contracts for your teens. While $25 a month might not sound like a lot, over 12 months, that’s $300. Before you commit to a contract, ask your teen about their plan to pay for their portion of the $300 – and any additional fees they may incur. Then decide if this is an expense you can afford right now. As you consider this back-to-school time, remember to include your kids as you budget and plan. Rather than going into debt to buy everything they need right now, talk to your kids and find out what’s important to them. 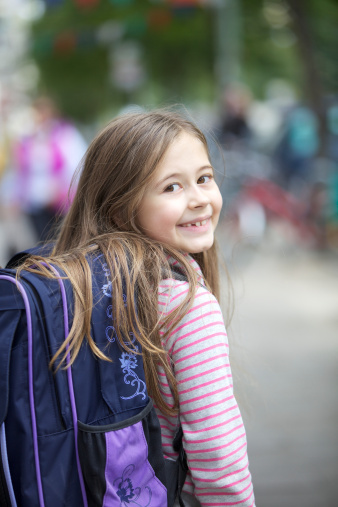 You might be surprised to find out that they’d like to re-use their favourite binder and pencil case from last year or that three after-school activities aren’t what they feel they can handle. As parents we often forget that our kids’ expectations may be very different than our own, and when it comes to back-to-school spending, it’s a great time for our kids to learn about budgeting and paying for needs versus wants first.